HENDERSON, Nev. - April 5, 2017 - PRLog -- Cunningham Group, RE/MAX Advantage was recently recognized as the #2 RE/MAX Team in the Las Vegas Valley and #30 RE/MAX Team across the Southwest Region, which is comprised of Arizona, New Mexico, and Nevada. Coming off a strong 4th quarter with 22 transactions, Cunningham Group has almost doubled their transactions from the 1st quarter of 2016. They are planning to surpass last year's 51 transactions before the 4th quarter of 2017. Shawn Cunningham said, "In looking at the valley real estate market, the single-family home inventory has remained fairly stable around 73-74 days meaning we are still in a "Seller's Market" since inventory is around 2.5 months. Days of Inventory refers to how long it would take to sell all active listings at the current rate of sales. With the interest rate ticking up, more people are wanting to buy as a reaction, which has kept the inventory from rising. Another motivator is the average price of a home in the valley, which continues to rise. Six months ago, it was $269,265 for a single family home at 3.56% approximate interest rate, and now it's up to $276,160 at 4.44% approximate interest rate." Cunningham Group is based at RE/MAX Advantage, and serves clients in the entire Las Vegas Valley. 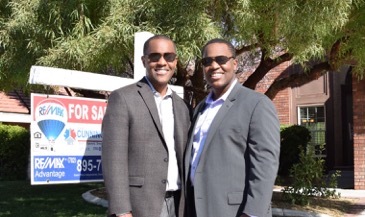 Founded in 2010 by brothers Shawn Cunningham and Kyle Cunningham, CGroup specializes with first time homebuyer programs, and also manages over 250 residential properties for investor clientele. CGroup is regularly ranked among the Top 10 RE/MAX teams in the state of Nevada. For more information about Cunningham Group, RE/MAX Advantage please contact Heather Robinette at (702) 823-0838 or by email at heather@cgvegas.com You can also visit their website http://www.cgvegas.com (http://www.cgvegas.com/).